Dear WholeMom: We have four children, two girls aged 16 and 14 and two boys aged 12 and 7. 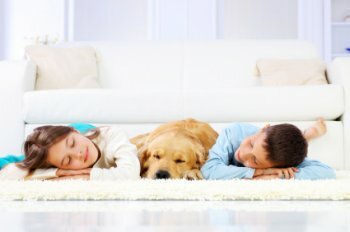 The three older children go to sleep later than the youngest boy, a fact he bitterly resents. He takes out his frustrations by acting out, refusing to go to bed and jumping out once he is in. There is lots of action going on in our home in the evening and he can't seem to settle down. He's an active little kid and doesn't want to miss any of the fun, but when he goes to bed late he finds it hard to get up in the morning for school and is miserable. How can I explain to him that even though he's bright and considers himself a peer to his siblings, the rules have to be different for his age? We're not into heavy punishment and deprivation. Dear WholeFamily Counselor, I have an eight-month-old son who is bottle-fed. I have a problem getting him to sleep all the way though the night, and to take longer naps. I am also having problems getting him to drink more than four ounces at a time. He wants to eat four ounces or less and then wants more about an hour or two later. He only takes two to three naps of about 20-45 minutes each. I hear that they are supposed to be sleeping about two hours at a time. Any suggestions on getting him on a schedule? A Getting a young baby onto a schedule can be a real challenge. Unfortunately, there is no sure-fire formula, but let me give you a few practical suggestions that may help. Dear WholeFamily Counselor, The last 3 months my husband and I have been letting our 2-year-old daughter sleep in our bedroom at night with us. Not with us, but on the floor. She doesn't want to sleep in her room (which is just one level down from our room) because she doesn't want to be away from us. She says she gets scared. We always assure her that there is nothing to be scared of. We used to be able to read to her and rock her to sleep to a lullaby tape, then lay her down in her bed. Or, we've tried staying in her room until she fell asleep and then we would sneak out. Now that she is older we've tried reasoning with her, but nothing seems to work. The three of us get a good night sleep, because she sleeps through the night, but it's not so good for my husband and I who are trying to conceive another child, if you know what I mean. When our son, Yosef, was four, we were having a very hard time getting him to sleep at night. He would get out of bed repeatedly with numerous requests or demand that one of us stay with him until he fell asleep -- which would usually take an hour or two. After several months of dedicating my entire evening to putting this child to sleep, I decided to try problem-solving -- one of the many fine ideas in How to Talk So Kids Will Listen and Listen so Kids Will Talk by Adele Faber and Elaine Mazlish. This wonderful, useful book is a popularization of the ideas of the well-known child psychologist Haim Ginott. Problem-solving works because it involves your child in the process.